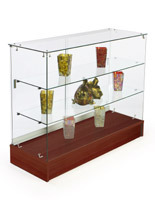 Full-vision design puts the spotlight on your products! 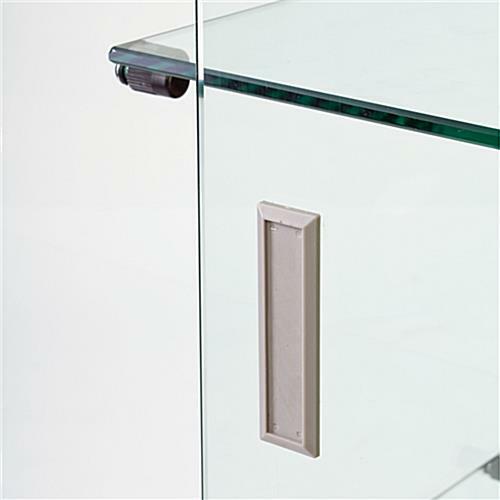 Easy open doors allow quick access to your most popular items! 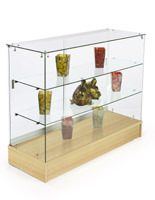 Economical price point encourages quantity purchasing! 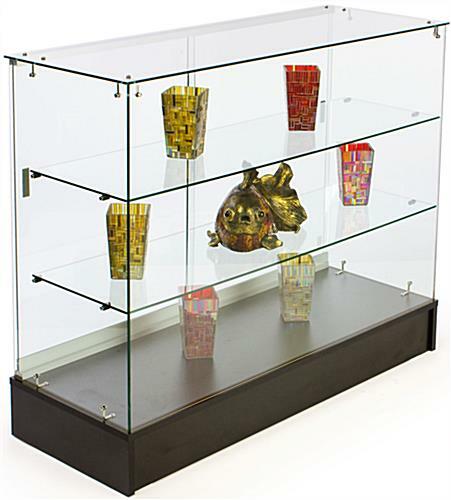 This glass counter is a great choice for retail stores, boutiques, jewelry stores, a gift shop, museums, a school, business or theater lobby, universities, hospitals and more. 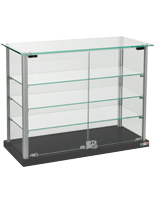 Whatever your showcasing needs may be, this full vision glass counter is the perfect choice. 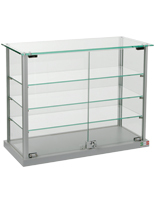 This glass counter, also known as a display counter, is ideal for showcasing jewelry, watches, handbags, sports memorabilia, makeup, electronics and more. 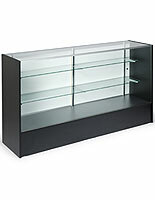 A glass counter is a must-have in many retail environments, but so many glass counter displays are extremely overpriced. 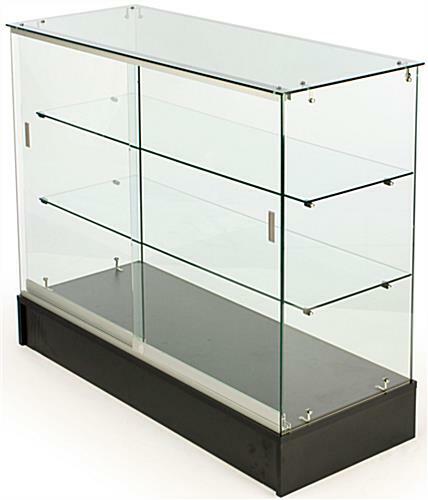 An affordable glass counter, like this tempered glass retail display, will have your retail location looking great at a fraction of the price! 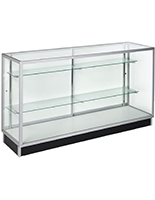 This display case, glass counter is crafted from tempered glass to offer a safe and sturdy display for both you and your customers or patrons. 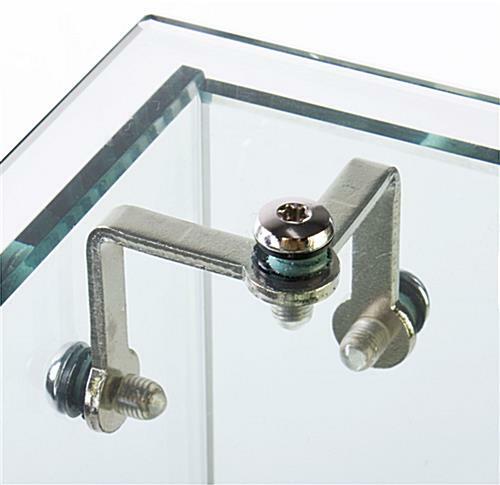 The glass display case counter is offered at such an economical price point because it does not have many of the often unnecessary features of more expensive glass counter displays, such as track lighting, adjustable shelves or a key lock. 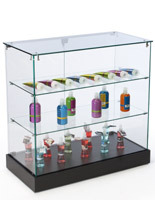 This glass counter is a simple, straightforward display case, designed for everyday use in many retail environments. 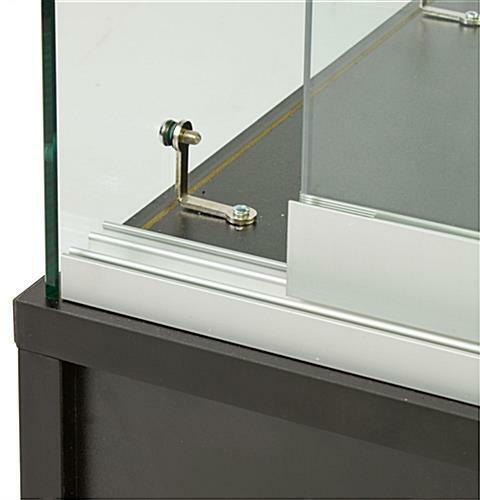 While the glass counter does not feature a key lock, it does have door pulls set on smooth sliding doors, and a completely frameless look and a "floating" shelf design. 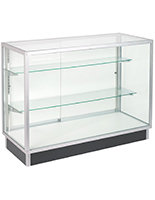 Keeping in line with the economical price of this display case, we ship the glass counter knocked-down (with instructions included) to save you on shipping costs. 48.0" x 38.0" x 18.3"